Free Shipping Included! ABUS WBA 100 Hardened Steel Floor Anchor by ABUS at tradingmart.net. MPN: WBA 100 C. Hurry! Limited time offer. Offer valid only while supplies last. Attach securely? Of course! But where? Many locks make it possible to attach a bike to a fixed point, to provide better protection against theft. Attach securely? Of course! But where? Many locks make it possible to attach a bike to a fixed point, to provide better protection against theft. Unfortunately, there are not always strong objects available to which they can be attached. 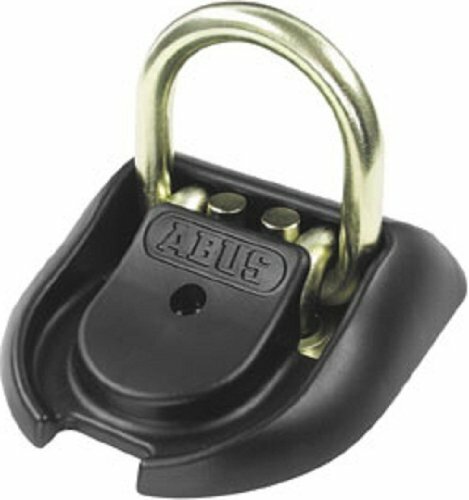 ABUS offers various anchoring solutions that provide a very strong fixing on the floor or wall of your property. These high-quality security solutions provide a point of attachment that is just as strong as the lock itself.